A reader commented to me recently that one of the things he likes about Permanent Style is the fact I work in an office, just like him. It hadn’t really occurred to me before, but the fact that I work in a modern, professional office every day does give me a different outlook to most men’s style writers. As much as we hate to admit it, context is a big part of style. If you’re wandering around during fashion week, you can get away with wearing more of things they’re showing at fashion week. If you’re wandering around Pitti, you can look like a peacock with a funny red hat on your head. It’s fine. But if you want to be taken seriously in a different line of work, you do need to dress appropriately. Particularly if you’re client facing. But where would you wear it? I work in a large, international publishing company with several hundred employees. The dress code is pretty casual, but senior staff will tend to wear shirts and suits, proper shoes and occasionally ties. If a group director were to wear a T-shirt and jeans every day, colleagues would think differently of him (consciously or not). The lawyers or bankers he met, and tried to sell advertising to, certainly would. In my writing, therefore, I have always stressed how to be stylish in such an environment. How you can find enjoyment in what you wear every day and even be taken more seriously in your job, through an interest in clothes. I also like this mode of dress because it really lies at the heart of elegance in menswear. Tasteful men’s clothing has always been about subtleties – subtleties of fit, of cloth, of cut. It’s about appreciating the way a perfect button-down collar can frame the face. It’s about the neat line and length of a trouser. It’s about the riot of colour that goes on in the weave of a Harris tweed, but only noticeable up close. All those tiny little rainbow-coloured fibres, dancing just for you. When I was young, I used to fantasise about working in a menswear store – I wanted the freedom to be able to dress up every day. But of course (a) I’d have to wear that store’s clothes every day (b) there would be less challenge in dressing within such a remit, and most importantly (c) it wouldn’t be dressing in the real world. It would be a fantasy brand-land, divorced from 99% of men’s lives. So that reader’s comment gave me great pleasure. I am writing for him, and for you. Not for the peacocks and the influencers. Because it’s what I wear every day. You can follow the discussion on I work in an office by entering your email address in the box below. You will then receive an email every time a new comment is added. These will also contain a link to a page where you can stop the alerts, and remove all of your related data from the site. I am curious if you have the same issue I have sometimes. I have been in several meetings (client and internal) where people assume I am the one in charge, because i am dressed with a nice tie, a properly fitting suit and nice shoes, whilst my superiors and in baggy slacks scruffy shoes and suits 2 sizes too big. I have to disagree with that statement. The only way I could dress less well than many of my more senior colleagues would be to turn up to the office in tracksuit bottoms and trainers. I generally try and push the sartorial envelope as far as I can without standing out like a sore thumb. In the context of a working environment in which most people wear unpolished black shoes, black suit trousers and a coloured shirt, this usually means a wearing a tie, subtle pocket square and occasionally a waistcoat. Great article. I think you’ve identified an important aspect that makes your writing and blogging more relevant than that of ‘fashion professionals’. In the same manner, I always enjoy ‘real people’ blogs and IG feeds the most. Great post Simon. The key word here is ‘appropriate’. For me as I work with investment and with super rich persons so first step in communication is bespoke suit. It’s solve so many questions ))). It’s especially actual in Moscow which is very snobbish city. Simon – do you have thoughts on tie dimensions? Drakes ties are 8CM x 147CM. I was about to order ties from a place called Sam Hober and the owner there has said 8CM width is “very skinny” I am trying to update my wardrobe and I do believe current ties are a bit narrower than my older ties. Just want to get this right. Thanks! Forgive me but it seems that you are writing about conformity rather than fashion or style. The points you make are very much about place and culture. Whilst I support everything this site aims to achieve I’m thoroughly against the continued corporatisation of life wherein the workplace is just the entree to the main aspect of conforming many other aspects of life in order to drive need = greater consumption. Superficially conformity supports conservation but it also kills it as it stifles creativity and thus renewal. As always Simon your article raises more questions than those just of menswear. It is also worth noting, mainly due to the digital age (Jobs, Gates, Zuckerberg et al), that the real boss is as likely to be in a t-shirt and trainers as a suit. The digital/creative type is more focussed on making something rather than managing/selling/administrating something. In essence they too are dressing for the role – it just has a different purpose. Which raises the age-old question does formality (formality being a function of heirachy) stifle or enhance creativity or intellectual pursuits? Couldn’t agree more Simon. One of the many reasons Permanent Style is one of the best menswear blogs on the web! The relevance of this post is really telling of the situation we are now in. Look, years ago the kind of smart outfit you are wearing in this pic was pretty normal for, say, even academics. But I wonder whether nowadays it hasn’t become too smart for them too! And this simple fact on its own contribute to make our world too dull, to say the least. 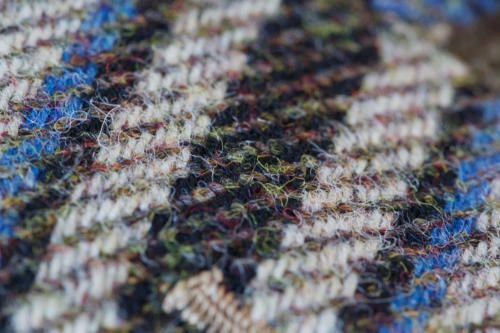 Now well beyond how we – PS readers – individually feel about dressing well, there are high cultural stakes related to the sheer existence of craftsmanship in our today world we should be aware of. So I do have the impression, that there’s a dire need to turn the current huge tide. And this could only be achieved by drastically widening the social boundaries of those who pay attention to what is still produced in many countries. Indeed, there are many young professionals who could afford buying, say, Drake’s or Charvet’s ties. But they have never even heard these names in their lives to begin with! Now if PS is to remain true to itself, then there’s something to be done in this area too that can’t be left to makers and their PRs alone. For sure Instagram, Tumblr already are and will remain usefull, but I’m not sure if they would be enough to take up the challenge I have in mind. I suppose most people do not dress for the office due to the effort involved and the discomfort of having to sit for long periods in tailored trousers, shirt and tie. So how does one mitigate the discomfort factor? I don’t find tailored trousers, shirts and ties uncomfortable. I have had clothes in the past that were uncomfortable (trousers that “rode up” when sitting, tight collar on shirts) but I’ve learned to buy the correct size. Shirts I have learned to buy with the correct collar size. And with the right collar size a tie does not feel constricting. Trousers can be a a little more challenging but generally with the right waist size (neither loose nor tight) they are comfortable. So I buy focused on the right fit in the crucial (and hard to alter) areas (waist and rise for trousers, neck and shoulders) and alter what isn’t right. I also get up form my desk every hour for a quick stroll. That helps with comfort as well. Then again I am of rather average build and proportions and much ready to wear clothing fits me well with minor alterations. I think Simon would say that fit is key. If it fits well it shouldn’t be uncomfortable. 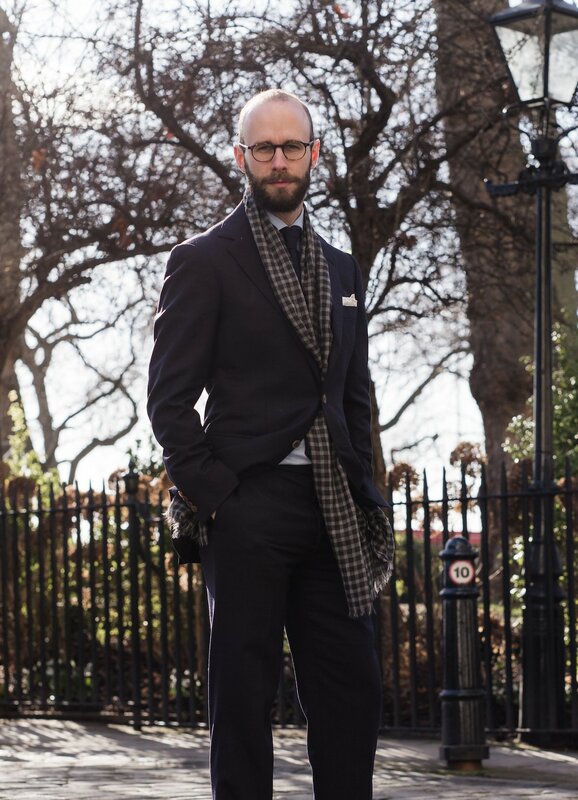 Good post, it’s often an important difference between office workers and #menswear-workers. Good post Simon, and great comments. What would be your suggestions for a work enviroment where you could be between the office and the factory? If I’m meeting with clients I wear a jacket and tie, if I dont have appointments I wear jeans and sneakers, but I hate to have a banker visiting by surprise those days…. I think as with a wedding, it’s really a question of the wishes of the host. The event is all about them, not about you, and you don’t want any risk of being inappropriate. But for most events, if you wear a navy suit, a white shirt and black woven or knitted tie, you will be smarter and more formal than most people there. Well said. The fact that you actually have a real and unrelated job gives so much more legitimacy to your blog than if you were a self-styled authority with no pedigree except, say, inheritance. This legitimacy is rooted in the notion that our clothes are a uniform and are a reflection of who we are and what we’ve achieved. In a certain sense, like the soldier’s, it should be earned. Having a real job in the real world keeps the signals we send tempered, appropriate and grounded. I often chuckle, when I’m in NY, at the salesmen in the venerable Paul Stuart in their skinny trousers with 3” turn ups showing 2” of socks strutting around as if they own the place. Risible in the extreme! In the same vein I laugh, this time with more contempt, at imposters who do it all for show simply because they’ve got the money. A little puffery once in a while is fine; we’re all guilty of it. But if you strut around like a peacock, have something to squawk about. That bespoked punter who’s never earned a penny for himself… please. Live the life, not the lie. And you do. Bravo, Sir, bravo! Another excellent article, Simon. I take great comfort from knowing there are others out there who recognise these subtle issues; it isn’t always about wearing what you like, or even what looks good (hopefully the two are the same!). What one wears does sometimes get up other people’s noses and context is everything. For most men, Conformity is still king in many work environments and it is sad to report that while many executives, especially in the creative industries, do wear a hoody and skinny jeans to the office, for everyone else the blue suit and open collar have become the new office uniform, just as rigid and unforgiving of ‘otherness’ as were the brolly and bowler hat wearers of the 1950s. If you wear a tie, there must be something wrong with you; old-fashioned, or uptight, but definitely not normal. “What’s wrong with him? He should loosen up!”. I love wearing ties, feel somehow undressed without one, and rejoice when I read (and see in Simon’s beautiful photographs), that there is such a thing as casual elegance in the workplace, that doesn’t shout ‘look at me’ or worse, that says ‘looking bland’ is my priority and, by implication, should be yours too. It takes practice, and a willingness to risk the odd mistake but perhaps most of all, it requires the confidence the carry it off. To dare to be true to oneself. I too say, Bravo Simon. We rally to your standard! When I occasionally wear a sports coat, I’ll be asked if I’m headed to a job interview… Ties are almost completely out of the question–senior leadership may occasionally wear sports coats to meetings but ties seem to be forbidden at all times except holiday parties. Thank you once again for your really great site and the effort to promote a more stylish and beautiful world. I work in the financial sector where a business suit and tie is necessary all five working days. The question is how many suits/ties/shoes/shirts do you think are the minimum I should keep in rotation? Currently I have 4 suits (2 grey’s and two navy), 3 pair of shoes (two black, one brown), 10-15 shirts (half of them white) and 10 ties, but I have the feeling that are not enough! Hi Simon, I was wondering if you can share and advice on dressing for Singapore? Work will be from client’s office but also include a lot of outside surveying at the port, so no escaping the heat/humidity. I understand pants with odd jackets are fine and a tie optional. To make things “worse” I sweat easily and we will walk a lot. Still as the called in experts I can’t come too casual. On the flip side I also prefer to not look completely soaked after 5 minutes. I found your website a couple of weeks ago and I have to say congratulations for such a simple yet inspiring way of expressing your thoughts and views on all these style related topics. 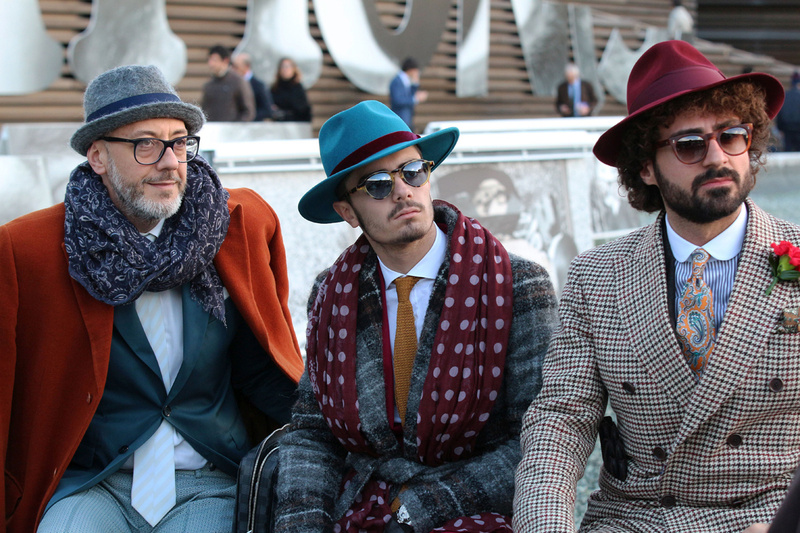 Ah, Pitti… this is exactly the reason why I prefer British fashion over Italian. Don’t get me wrong, I can appreciate their style and creativity, but if your source of inspiration is let’s say James Bond instead of Pitti Uomo, you can weat a 10,000 GBP worth outfit and still blend in between “normal” people (while looking classy at the same time). On the other hand, I noticed that the better I dress, the better the others treat me. Not so much at work, but in shops, restaurants etc.